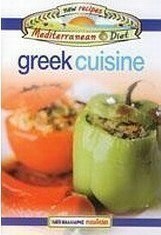 Greek cuisine is considered one of the most popular cuisines of the Mediterranean. It covers a wide variety of tasty meat, fish and seafood dishes, many salads and appetisers, produced with ingredients that originate from the Greek land, seasoned with scores of flavourings, butalso with spices from the East. Greeks are regarded as gourmands, and as such, food by tradition takes up a prominent place in their everyday life, while in festive occasions the array of dishes awakens all the senses with its feast of flavours, aromas and colours. Γράψε μια αξιολόγηση για το Greek Cuisine και βοήθησε σημαντικά τους άλλους χρήστες!